Click on a book's cover art to learn more or to order a copy. 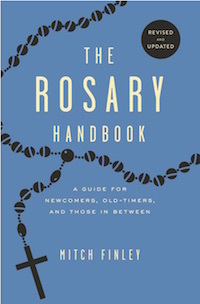 We try to link a book to the online source with the lowest price, shipping included, but we encourage you to "shop around" and, in particular, to check with your local catholic bookstore. Much wisdom and spiritual balance comes from reading Church history. This book gives you an overview without trying to tell you everything. You get the most significant events that continue to have an impact on Church life today. 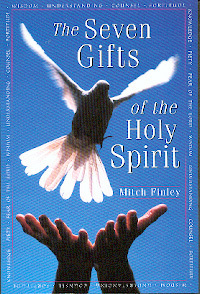 A bestselling collection of inspiring, fun-to-read meditations, one short one for each of the forty days of Lent. Each day you get an intriguing quotation from one of the luminaries listed on the book cover (above), and that's followed by a reflection written by you-know-who . . .
A seasonal favorite, this story of Santa Claus in his own words will delight children and grown-ups everywhere. Filled with magical star-dusted anecdotes and Santa's fond memories of the feast of light, this precious book is a reminder of the deeper meaning of Christmas and of the grandeur of those gifts that one can neither buy nor touch. Clement Clarke Moore's "T'was the Night Before Christmas," the story of the Grinch, a loving introduction to Mrs. Claus, and a retelling of the first crèche set up by St. Francis of Assisi are but a few of the delightful tales that radiate the spirit of wonder and kindness contained within these pages. The Saints want to have a word with you today. Wouldn't you love to have heard St. Francis of Assisi speak about the beauty of creation? Or to have listened to St. Teresa of Avila teach about prayer? Well, although we can't converse "live" with the saints, we can still hear from them. The wisdom of their sayings, preserved over the centuries, still inspires us. 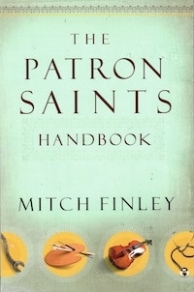 The Saints Speak to You Today offers 366--it includes one for the extra day that Leap Years bring--quotations from saints about a wide diversity of subjects essential to successful living. Nourish your mind with a word from St. Thérèse of Lisieux about doing everything with love or St. Thomas More on facing death courageously. Let the saints remind you every day of your high calling to love God and to love others. A Man’s Guide to Being Catholic addresses this question with a direct yet open-minded viewpoint to the spiritual and sociological issues that face the sexes in our society, both in the world and in the church. With a no-nonsense approach, this book guides you on a journey of insight into what it means to be a Catholic man and how to maintain stability amid ongoing cultural evolution. You will discover that there are unchanging ways of finding God, and that there is still a place for maleness and a male point of view… and the model for such a point of view is Jesus Christ. This warmhearted recollection of growing up Catholic is far more than mere nostalgia. It's a mixture of fond memories, gentle humor, and lasting gratitude for what the author learned in Catholic schools--simple yet profound lessons that gave him a solid foundation for living in times marked by turmoil and change. Five-page introductions to twelve classics of Catholic spiritual literature: Thomas à Kempis' The Imitation of Christ, Julian of Norwich's Showings, The Cloud of Unknowing (anonymous), the Writings of St. Francis and St. Clare of Assisi, Dante Alighieri's The Divine Comedy, The Way of a Pilgrim (anonymous), St. Thèrése of Lisieux's The Story of a Soul, Caryll Houselander's The Reed of God, Butler's Lives of the Saints, Max Picard's The World of Silence, and Thomas Merton's New Seeds of Contemplation. A great way to gain a general understanding of some classics and see which ones you would like to read in their entirety. This is the book to read if you want to renew your gratitude for the gift of being Catholic, or whether you're Catholic or not, if you want to gain an appreciation for what being Catholic is about from the inside out. The perfect collection of brief meditations to bring Advent alive one day at a time. 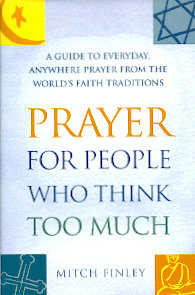 Each day of Adventpresents a brief thought from one of the spiritual guides listed on the book cover (above). 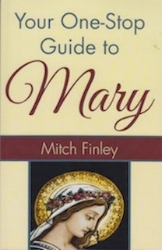 Each is then followed by a lively, inspiring meditation written by none other than Mitch Finley. This is the kind of little book you'll return to year after year. A little book about appreciating what's special about belonging to the oldest institution in the western world. A little literary celebration of being Catholic. This book first appeared in 1984. It was the first book to "unpack" the theological insight that the family, in its various forms, is the domestic church, the most basic unit of the Church. Subtitled "Reflections on a Spirituality for the Domestic Church," it won the Thomas More Medal "For a Distinguished Contribution to Catholic Literature." After two editions under the generic title, Building Christian Familiies, now with a new Preface and some minor revisions it's back in print under its original title, and it still answers, in practical terms, the question, "What does it mean to say that the family is the domestic church?" A book full of true stories from many people who prayed to St. Anthony of Padua, the patron of finding lost objects, or St. Jude, the patron of hopeless situations, with remarkable and inspiring results.